Some see them as milestones, others see them as wrinkles, however your doctor sees them completely different. With age, comes the increased risk of certain types of health conditions. In fact there are screenings, tests, and vaccinations that are highly encouraged based solely on age. But who can keep track of them!? Let me introduce you to the Aging for Healthcare Research and Quality Electronic Preventative Services Selector (AHRQ ePSS). Based on five questions (including your age), this program will give you a printable list of health promotion and prevention recommendations unique to you. 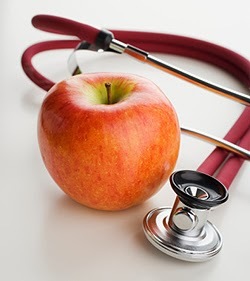 Consider that in 2012, a scant 3 percent of current health care spending in the United States is now focused on prevention and public health, while a whopping 75 percent of health care costs are related to preventable conditions. The United States can — and must — do better, especially considering that its per capita health care spending is twice the average of other industrialized nations even as it still ranks a dismal 24th out of 30 for life expectancy. Obamacare will radically change this, offering free (yes, free) preventative care. Today people are living longer but are also spending more time living with chronic ailments. Over the course of the 20th century, global life expectancy soared by 30 years, 25 of which stemmed from public health advances such as improved sanitation, environmental advances, vaccine campaigns, and tobacco control. So at your next milestone, put preventative care on your calendar. You and your loved ones can be the start of a new statistics of people who choose to max out their preventative care and take care of things early. It's never too late to start. This is an excellent post, one that I believe everyone should read. The group think is focused on taking care of the illnesses they have. I hear it everywhere I go- as close to home as in my own home! Over the Thanksgiving holidays listening to what meds they were on and which doctors they go to for what- it was exhausting. How sad that most people just feel that life is just that- being stuck living with dis-ease. I enjoy your words and encouragement to put prevention on the calendar! There are so many things people don't actually need to spend time, money, or resources on. If only they took care of their health and prevented these things for themselves.